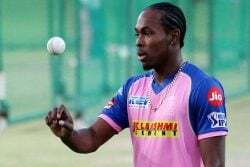 MELBOURNE, Australia, CMC – West Indies team management has rejected media reports here they have banned noted Trinidadian journalist Fazeer Mohammed from conducting player interviews. 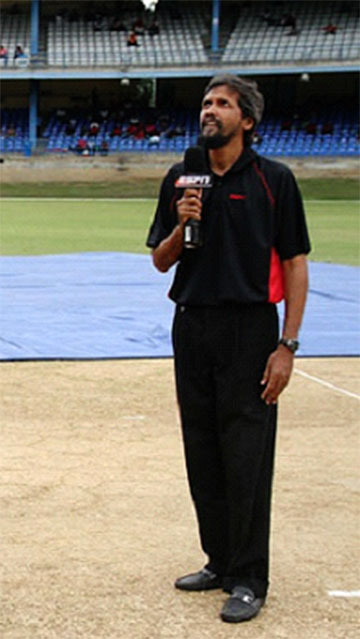 Several news outlets reported yesterday that the experienced Mohammed, currently attached to the Australian Broadcasting Corporation (ABC) commentary team for the three-Test tour, had been blacklisted over recent comments he made which were critical of the embattled Windies. However, in a media release late yesterday, the Windies team management said that no member of ABC’s commentary team had been barred from conducting interviews with players. 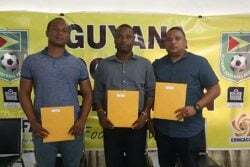 “The team fully appreciates and understands the importance of the media towards providing information on the game as well as the growth and development of the sport,” the release said. “The West Indies team has been in contact with the ABC and all accredited members of the ABC commentary team are free to conduct interviews with members of the team on tour. 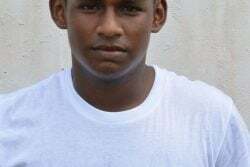 Media reports had earlier said that Mohammed had been told by an unnamed West Indies official that he would not be allowed to interview players. This was due to comments Mohammed made on a radio cricket show in Barbados last week which described the West Indies training sessions in Melbourne as “lacking in intensity and purpose” in comparison to Australia’s. West Indies have come under fire from Australian media over their lacklustre performances on tour so far. They lost their opening tour match by ten wickets to a Cricket Australia XI with an average age of 21 before slumping to an innings and 212-run defeat inside three days in the opening Test in Hobart. They enter today’s fourth day of the second Test here trailing by 459 runs overall.